Send your Valentine something home-made this year with the Forever My Always Collection 6" x 6" Paper Pad! Included in the paper pad are 36 sheets of single sided patterned paper by Pebbles. 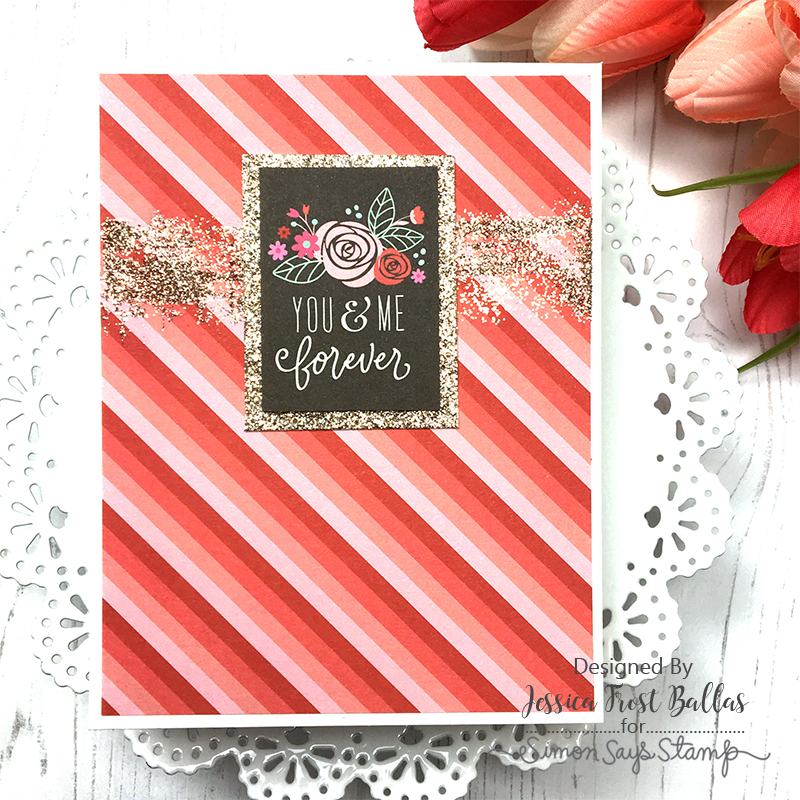 Such a lovely card created by Jessica Frost Ballas for Simon Says Stamp please check out her blog and youtube http://www.allthesparkle.com/ for more inspiration. Such lovely work. How adorable is this card by Nina Marie Trapani for Simon Says Stamp please check out her blog and youtube http://ninamariedesign.com/ for more inspiration. Love this. This card is so cute! Heather does wonderful work and has such a big heart. This card was created for Simon Says Stamp please check out her blog and http://housesbuiltofcards.blogspot.com/ for more inspiration. Great card!